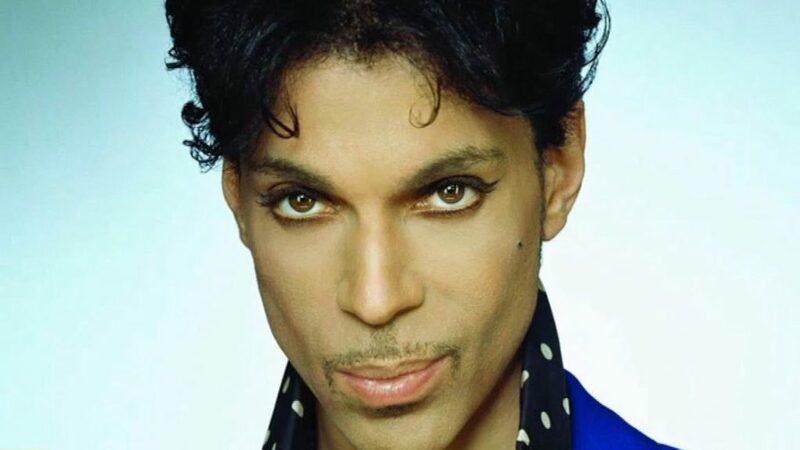 He was born Prince Rogers Nelson, in Minneapolis, Minnesota in 1958. He was named after the Prince Rogers trio, a jazz group led by his father, John L. Nelson. Prince’s mother was also a jazz singer, which meant that his introduction into the world of music started practically at birth. While in junior high school, Prince joined the band Graham Central and at the age of seventeen, he signed a management contract. In 1978, the self taught musician played all 27 instruments on his first album. The album, “For You” produced two minor soul hits. But, in 1979, the self titled album, “Prince”, gave the young musician his first top twenty pop hit. It would be three years and three albums later, before Prince would have another top 20 hit. During this time, he opened for the touring Rolling Stones and was booed off the stage in Los Angeles. On the charts, Prince has made it to the weekly top 40 charts 31 times, going to number one a total of five times. Here’s a look at Prince’s twenty biggest hits, according to the Billboard Weekly Top 40 Charts. Let’s Go Crazy – 1984 – also from the “Purple Rain” film, and recorded with The Revolution, this is one of five singles from that album that made it into Billboard’s Top 40. Kiss – 1986 – from the film, “Under The Cherry Moon”, this song won a Grammy for Prince in the Best R&B Vocal Performance category. Batdance – 1989 – from the “Batman Soundtrack” album, snippets of dialog from the Batman film can be heard on this selection. Cream – 1991 – recorded with the band The New Power Generation for the album “Diamonds And Pearls”, Prince admits to writing this song while standing in front of a mirror. Purple Rain – 1984 – the title cut from the album and film of the same title, it was recorded during a benefit concert for the Minnesota Dance Theater in 1983. Raspberry Beret – 1985 – Prince’s first hit for his own Paisley Park label went to number two on the charts. U Got The Look – 1987 – singer Sheena Easton provides backup vocals on this single. Sign ‘O The Times – 1987 – from the film and album of the same title, backup vocals are done by Prince’s girlfriend at the time, Susannah Melvoin. Diamonds And Pearls – 1991 – from the album of the same name, this single features strong vocals from New Power Generation’s member, Rosie Gaines. The Most Beautiful Girl In The World – 1994 – the first single after Prince changed his stage name to the unpronounceable symbol, it was performed at the 1994 Miss America Pageant. Little Red Corvette – 1983 – Prince claims his first top 10 single came to him, while napping in a pink Edsel, after a tiring recording session. Pop Life – 1985 – the lyrics relate to the pitfalls of being a celebrity and unlike other Prince singles, a music video of this song was never recorded. 7 – 1992 – ironically, the single from the “Love Symbol” album peaked at #7 on the charts. I Would Die 4 U – 1985 – the fourth single from the “Purple Rain” album. Alphabet St. – 1988 – the only top 10 single from the “Lovesexy” album. I Could Never Take The Place Of Your Man – 1988 – from the double album, “Sign ‘O The Times”, it was originally recorded in Prince’s home studio. I Wanna Be Your Lover – 1980 – Prince’s first top 20 single. Prince has been nominated for 33 Grammy Awards and has won seven times. He’s also won a Golden Globe and an Academy Award, plus he was inducted into the Rock And Roll Hall of Fame in 2004. Even after his death on April 21, 2016, It is reported that Prince has several hundred unreleased songs in his vault.